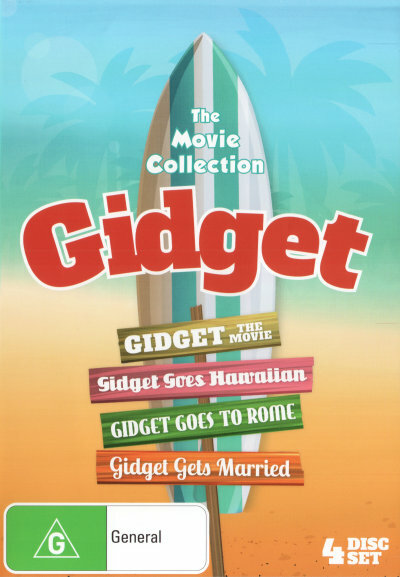 The Gidget DVD Box Set includes: Gidget - The Movie (1959), Gidget Goes Hawaiin (1961), Gidget Goes to Rome (1963) and Gidget Gets Married (1972). Presenting the big screen adventures of Gidget, the original queen of the Southern California beach scene. A winning combination of comedy, romance and song, The Complete Gidget Box Set follows America's favourite teenage surfer girl as she travels the world in search of fun, love and excitement. This Complete 5 DVD Box Set features Gidget and steady beau, Moondoggie, and their fun-in-the-sun adventures. 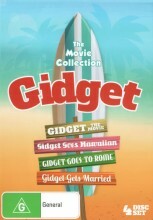 Click the button below to add the GIDGET - COMPLETE MOVIE BOX SET to your wish list.